The German "Elephant" was a heavy tank destroyer of the German Wehrmacht in World War II. It was designed by Ferdinand Porsche. 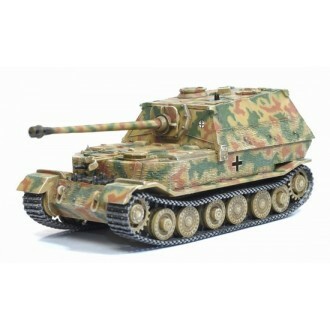 This 1/72 scale Elefant bears a coating of Zimmerit, a feature that has been accurately replicated in miniature. This authentic model is part of Dragon Armor's Value Plus range.